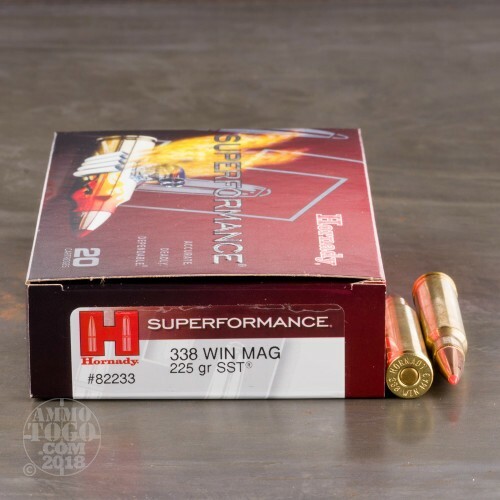 This powerful 338 Win Mag cartridge from Hornady’s Superformance line of ammunition boasts a staggering 4,318 fpe muzzle energy. 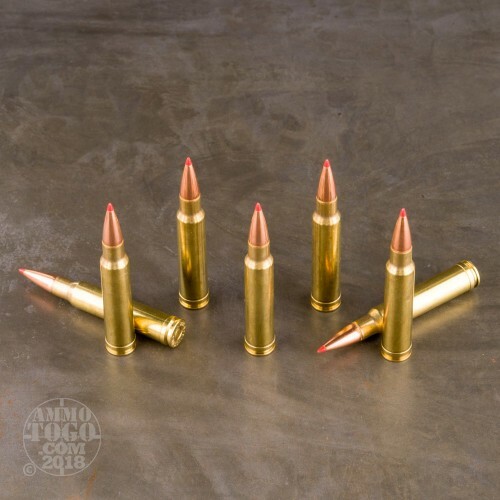 It doesn’t rely on brute force alone to kill virtually anything that it could encounter, however -- its 225 grain SST (Super Shock Tip) projectile complements its performance even further by adding superior accuracy and terminal performance. The SST owes its ability to hit its mark to several of its features, including its secant ogive profile, boat tail design, and tapered polymer tip. On impact that tip drives inward into the SST’s core to commence wide and catastrophic expansion, greatly increasing the likelihood of a vital organ getting taken out. The SST has got a cannelure and an InterLock ring which together help it to retain the lion’s share of its weight during penetration, letting it burrow even deeper for absolute knock-down power. Few animals are thick enough to prevent this hefty SST from passing entirely through their bodies! 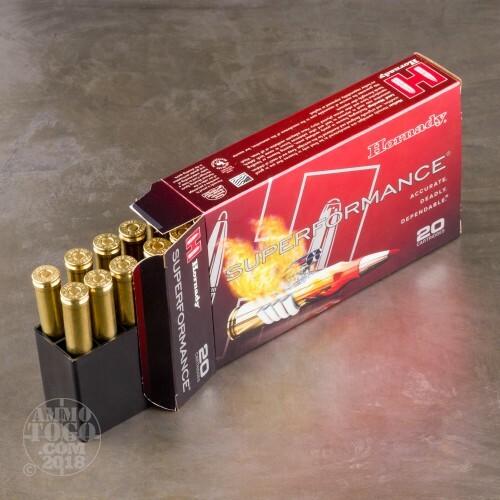 posted on 12/16/18 by Eric M.
I would put this round up against any other manufacturers rounds. 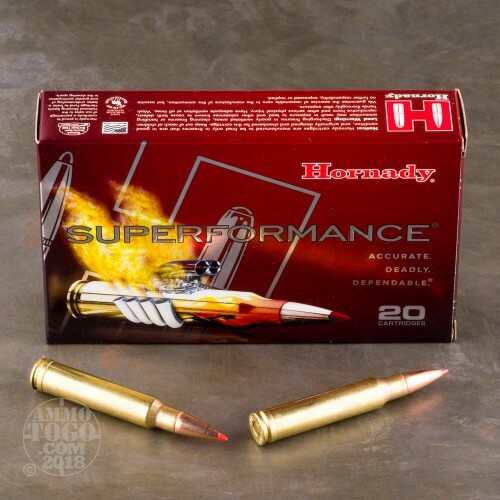 I love the Hornady SST rounds and will continue to buy them as they are top of the line, a cut above all other rounds.